Heading Up North! A summertime tradition in Minnesota...going up north to the lake cabin. 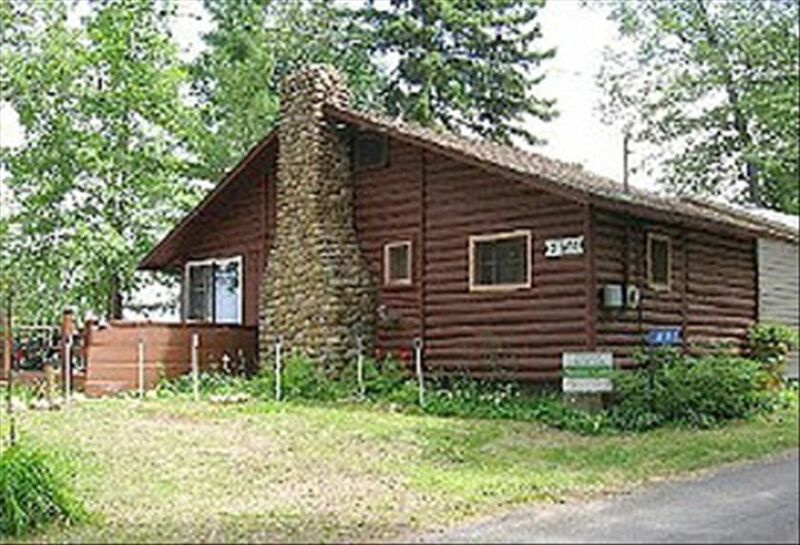 Rent your own Minnesota resort property, in the Brainerd Lakes Area, the BestView Cabin at Breezy Point. One of the original log cabins built in the 1930's at this historic MN resort. We maintain a Country Club Membership giving our guests access to all resort amenities. Walking distance to lake and beach access, indoor pool & game room, Marina II Restaurant & Dockside Lounge, and nightly entertainment. Breezy Point named Best Family Resort 5-years-in-a-row from MN Parent Magazine. Breezy Point is in the heart of the Brainerd Golf Trail with over 300 holes of golf all less than 45 minutes apart. Ranked 'One of the Top 50 Golf Destinations in the World' by Golf Digest. 40 minutes from Grand Casino Mille Lacs. Minutes from the 100-mile Paul Bunyan Biking Trail. Boating, fishing and water sports are a mainstay of the Brainerd Lakes Area lifestyle. Boat rentals and mooring slips available from Breezy Point Marina. Breezy Point is in the heart of the Brainerd Lakes area with over 70 lakes nearby. Golf is also a recreational highlight. In addition to the resorts' Traditional & Whitebirch courses, 35 other premier courses are within a 45 minutes drive, including Deacon's Lodge, The Preserve, The Pines at Grand View Lodge, Cragun's Legacy Courses, Madden's, Ruttger's and Whitefish. Gamblers can choose from Grand Casino Mille Lacs or Northern Lights Casino, both about 40 mi. away. Shoppers flock to gift shops in Pequot Lakes and Nisswa. Two indoor water parks are less than 30 minutes away in Baxter. Brainerd Int'l. Raceway is the site for NHRA Nationals every August. The most famous talking statue of Paul Bunyan is now located at Paul Bunyan Land at This Old Farm Pioneer Village, 7 mi. east of Brainerd, which also features the entire collection of rides from the former Paul Bunyan Amusement Center. Local art galleries, art festivals to musical and theatrical performances celebrate arts and culture. Unit Description: Knotty pine interior throughout. Field stone fireplace warms those cool northwoods nights. Kitchen features light knotty pine, exposed wood timbers and oak cabinetry. Full size bed with twin bunk overhead in bedroom, queen size sofa sleeper in living room. Completely furnished accommodations. Five room cabin with kitchen, living room, 1/2 bath & separate shower room, closet & bedroom (approx. 650 sq. ft.). Breathtaking sunrises over Pelican Lake from the wraparound deck of this lake view property. Annual flowers adorn deck planters and perennial garden. Picnic table on deck for outdoor dining. 6 foot fence frames the garden and provides privacy from neighboring cabin. Property is located in an active resort community setting. Not for those desiring tranquil isolation. My wife had previously owned the property with her ex-husband and we officially bought it back in '91. Spent our honeymoon here too! Location! The view of Pelican Lake from the cabin is simply priceless. Despite being in an active resort community setting, there are times of quiet solitude. Having the amenities of a major resort just steps from our door is a real bonus as is easy access to Pelican Lake. Breezy Point is only a half-a-tank of gas away (for us)...a 3-hour drive is just far enough away to feel like you're on vacation when you're there. The Brainerd Lakes Area offers a wealth of activities, recreation and attractions. The other cabin owners in the Fawcett's Cottage Hill area of the Breezy Point Resort are passionate about their properties and keeping them well-maintained. Great neighbors! Breezy Point Resort is one of the original lakeside resorts in the Brainerd Lakes area. Parking space for two mid-size vehicles next to property. Additional space in the lot at the head of Circle Dr.
Cabin has a conditioned water supply and uses a Pur water filter. No oven. Parking space for two mid-size vehicles next to property. Additional space in the lot at the head of Circle Dr. Basic cable TV stations with Charter Communications. 8000 btu portable A/C in unit, box and standing fans in addition to ceiling fans cool the property. Breezy Center features Game Room with video games, ping-pong and pool tables; indoor pool, whirlpool and sauna; pizza, ice cream, Caribou Coffee and DVD rentals. The resort's Registration Office has four internet access terminal and is a Wi-Fi hot spot. Good cell phone coverage in the area. Cozy comfortable cabin in a great location! We greatly enjoyed our stay. The cabin was perfect for our needs (2 adults and 2 small kids). We really enjoyed the access to the pool and easy walk to the beach. The clean cabin was well stocked with kitchen utensils/supplies so that we could easily make meals there. Such a fun stay and hope to come back again! Great communication from the owners! Thank you for your 5-star review regarding your stay at our cabin. I would welcome a reservation for your family next season. We enjoyed a week at this cabin! The owner was very helpful in orienting us to things prior to our arrival. Having access to the beaches and pool was helpful for our young children. The cabin has a nice view of the lake! Thank you for the 5 star rating and wonderful comments regarding your stay at our cabin. I welcome a reservation for your family in the near future. Such a wonderful cabin, clean, quiet, and quaint! We love our family vacations relaxing and taking in the view. Look forward to Summer 2019! My daughter and I enjoyed our stay at this cute cabin with a lake view. The owners have a membership to the resort amenities so the pool, game room, restaurant, etc were fun! Would definitely stay again. Thank you for the kind words. Great renters like you are always welcomed back! Wonderful cabin with a fantastic view! Quaint little cabin with a fantastic view and enough space for our family to enjoy a week of vacation in beautiful MN. Looking forward to booking next summer! Amber, Thank you for your kind words regarding your stay at our cabin. I welcome a reservation for your family next season. Thank you for the 5 star rating and wonderful comments regarding your stay at our cabin. We truly appreciate you taking the time to recommend our rental property. We're looking to trim some branches from the small pine trees on the hillside to keep that 'Best View' intact. Unfortunately, any campfires on the property would literally smoke out the neighboring cabins. Rates are subject to change until reservation is confirmed. Reservation is not confirmed without completed and signed lease agreement. Discount rates do not apply to holiday weekends (Memorial Day, Labor Day). Rates are based on quad occupancy. Add'l. tenants $5/person/day. Damage deposit and half rental amount down to confirm reservation. Balance due by 10 business days prior to check-in.